Above is the Howell Signal Bridge with Q335-02 passing under it. Green Oak is the first town west of South Lyon in Livingston County. 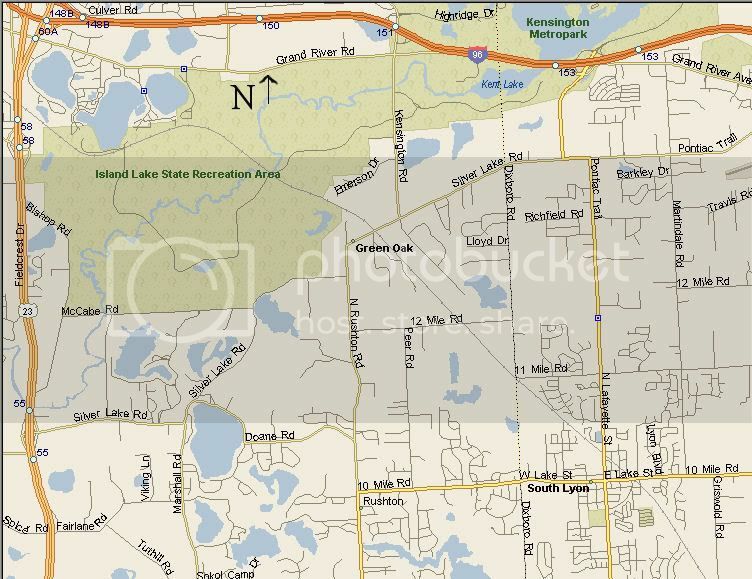 The West end of South Lyon buts up to Green Oak Twp. Green Oak is considered CH39.9 for East Bounds, and CH39.8 for West Bounds. Brighton is CH45, and has a 7,000' passing siding. 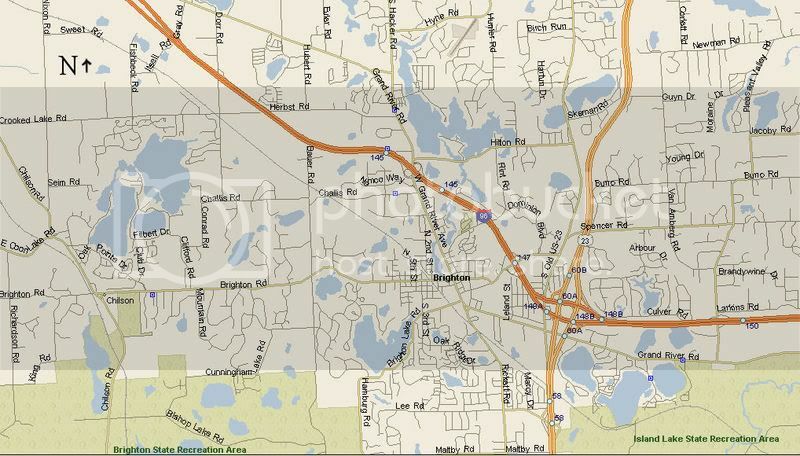 Brighton is the largest city in Livingston County, and the richest. I rarely travel to Brighton for trains, but once in a while I manage to drop by as a train passes through. 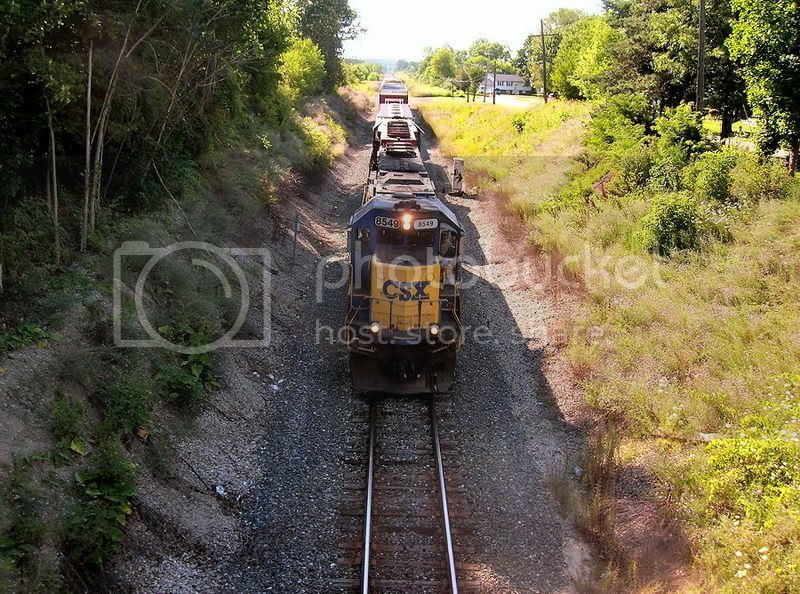 Howell is located at CH54, and consist of a 5000 foot passing siding, and an interchange with the TSBY at the East End. This interchange is known as Ann Pere, for the Pere Marquette, and the Ann Arbor rails roads that built the lines. The TSBY (now Great Lakes Central) operates one train per day in each direction from Owosso south to Osmer (few miles north of Ann Arbor [the city]) On the trains South bound treck, they switch Ann Pere, and then continue their journey. 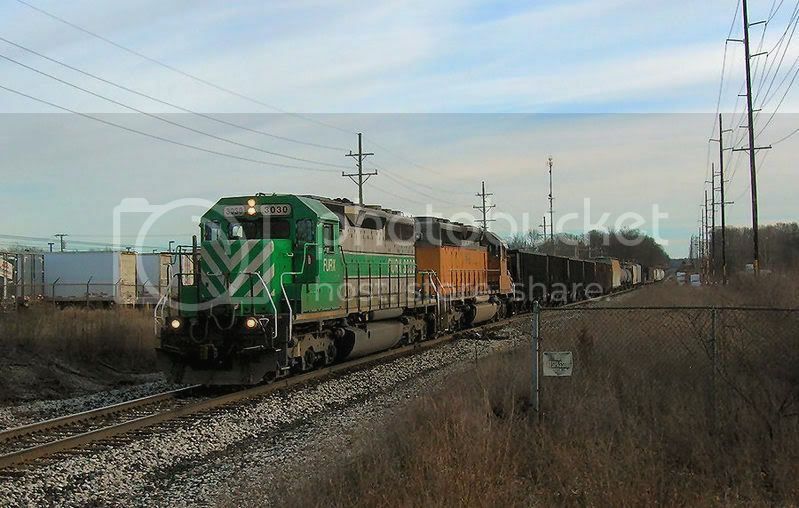 Fowlerville is home to a long passing siding, and two grain elevator complexes, that get switched almost daily.